Planting trees is a good thing. And it’s even better when it’s free! 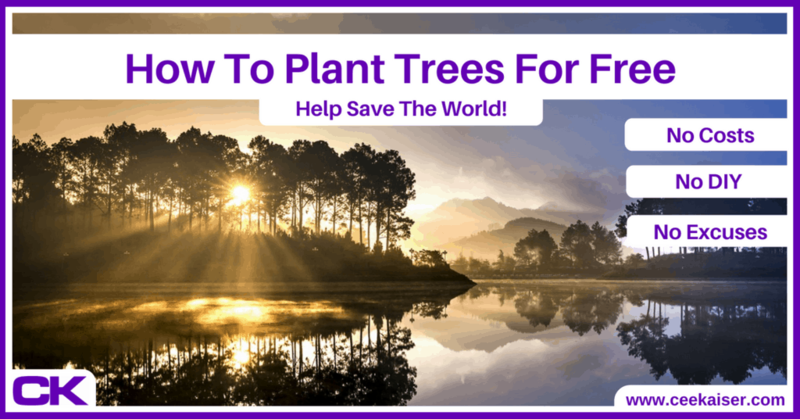 Simply choose one of these excellent ways to plant trees for free and pat yourself on the back for having done a good deed. Then go ahead and share this article with your family and friends, so they can plant free trees as well. 3 B’n’Tree: You Book A Bed, We Plant A Tree. For Free. 6 Sabaidee: Making You Feel Good. And Planting Trees. 7 The World Needs More Free Trees! Trees are masters of many trades. They combat climate change, turn CO2 into vital O2 and offer habitat and food for exotic wildlife species. In addition, planting trees creates jobs for local communities in need. So yes, you are a hero when planting trees. Good work, you! The beauty about planting trees for free is that you don’t have to do it yourself, nor invest any of your hard-earned cash for paying someone to do it for you. Go ahead and give a shot – you have absolutely nothing to lose. Ecosia is the easiest way to plant trees for free. If you are an internet user and use search engines at times, make sure this search engine is Ecosia. Ecosia is free to use, and also offers an excellent app for smartphones. On average, every 40-50 searches pay for one tree. 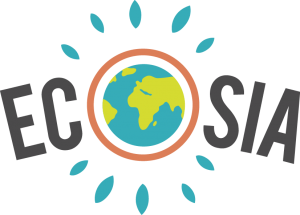 In case that’s not enough for you, check out the brand-new Ecosia online shop. Not only are all shirts, jumpers and hoodies produced fairly and organically, but Ecosia also spends 100% of all profits to plant trees. That means each t-shirt you buy plants 20 trees! If you want to learn more about Ecosia, including the reason why they make you smarter and their one disadvantage, find it here: Ecosia Review. The Search Engine That Makes You Smarter. B’n’Tree: You Book A Bed, We Plant A Tree. For Free. B’n’Tree is a very close second amongst the easiest ways to plant free trees, different from Ecosia only as it’ll take you one extra click of your mouse to plant a tree. B’n’Tree has partnered with various hotel booking platforms such as booking.com and Agoda. Whenever you place a booking with these platforms, after having entered via B’n’Tree’s website, B’n’Tree receives a small commission for referring you as a client. This commission is then turned into planting trees. If you save bedandtree.com in your bookmarks, your hotel bookings take literally one click extra to plant a tree: Click on B’n’Tree in your bookmarks, click on the logo of your preferred hotel booking platform, and place your booking as you always would. That’s it. Every paid booking plants a least one tree, often more. While you’re away, why not share some green best practices for hotels with the place you’re staying at? 10Tree plants free trees whenever you purchase any of the cool clothing items in their online store. Yes, you do need to pay for the purchases, but the trees that are planted by 10Tree come without cost for you. And 10Tree lives up to its name here: They not just plant one or two, but always ten trees for every product you buy! So go ahead and start your Free-Tree-Shopping-Spree! Thanks to their advanced IT you can even track the trees that you have planted with 10Tree and see how they are making a real-world difference. Feel good shopping at its best. If you need visual inspiration for your next outfit, check out the 10Tree Instagram profile. Tree Tribe is a community driven outdoor lifestyle brand that plants 10 trees with every sale. As with 10Tree, you do have to pay the items you buy, but, again, the trees are planted without any additional cost to you. Besides clothing, Tree Tribe offers extremely cool sunglasses made of wood and bamboo, eye-catching wallets made of ‘leaf leather’ as well as beautiful eco-friendly stainless-steel water bottles that come with a lifetime warranty. Besides their products you will find some stunning landscapes and outdoor shots on the Tree Tribe Instagram. Amazing inspiration for all nature-loving travelers. For all long-term travelers: Share your thoughts on the responsibilities of a digital nomad with us, please. Together we can change the world! Sabaidee: Making You Feel Good. And Planting Trees. “Sabaidee” is the typical Thai answer when asking “Sabai dee mai khap?” – How are you? – Yes, I’m fine, thanks. Sabaidee is on a mission to help one million people live a healthier and happier life by providing the highest quality all natural hemp extracts – and plant one million trees in the process. Their approach to success is delivering cannabidiol (CBD) products that help relax and feel good. But no, you won’t get high from these, and yes, they are completely legal. Not convinced? Take a look at their outstanding reviews. Every product sold plants one tree! The World Needs More Free Trees! Do you have further ideas how to plant trees for free? Please post them in the comments below or join our Facebook conversation on planting free trees. If you want to be truly awesome, share this article with your friends, family and co-workers, so they also can plant free trees. The more trees we plant, the better. The world needs more trees! And it needs more amazing people like you.